Since 1998, Manuel L. Dobrinsky has assisted hundreds of clients in personal injury, wrongful death, medical malpractice and auto accident matters. Manuel has achieved numerous verdicts and settlements that individually exceeded a million dollars. 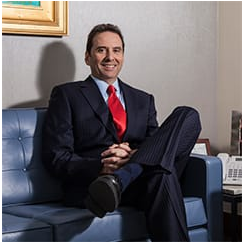 On two occasions, Manuel was named “Most Effective Lawyer in South Florida” (medical malpractice and class action litigation) by the “Daily Business Review.” Manuel began his legal career as an associate with Holland & Knight in Miami, where he specialized in commercial litigation and white collar criminal defense. He also worked on significant civil rights matters such as the widely known Rosewood v. State of Florida case and on one of the largest housing discrimination cases in the nation.